Le Bob; the reggae icon who has tremendously influenced the locals’ music preference. Your Sagada experience will not be complete if you don’t dedicate some hours getting lost in the Jamaican vibe that the locals are particularly fond of. The legendary Marley’s reggae influence has found home in this rustic tourist town. The new place in town is Ysagada Downtown Bistro. 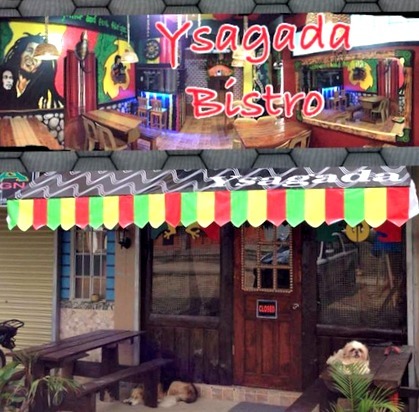 Formerly, “Kusina Ysagada”, YSAGADA has undergone a major revamp by converting the cafe into a bistro that embraces you with a reggae ambience. Simplistic, chill and cozy-homey. 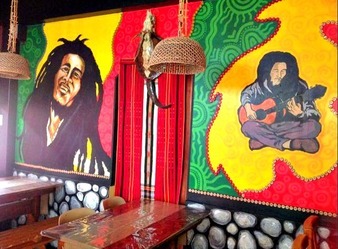 Enjoy good food and refreshing drinks at the town’s coolest reggae hangout. We are located at Dao-angan, Sagada near Ayeona Souvenirs and George’s Guesthouse. A ten-minute leisure walk from the town center, Dao-angan is the new prime spot in town. As a plus, get to meet the town’s local artist, Mr. James Gabriel Wandag who co-owns and manages the place with wife Antonette. James is the talent behind majority of the famous Sagada artistic and statement shirts. If you get lucky, you can have your own shirt or any artwork customized to your own liking.